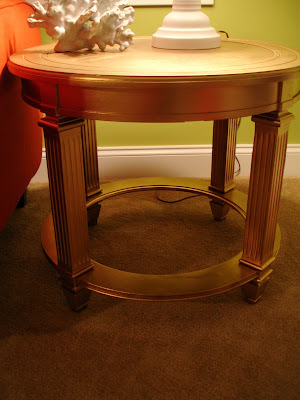 I just knew I would come across another opportunity to use my favorite gold spray paint! 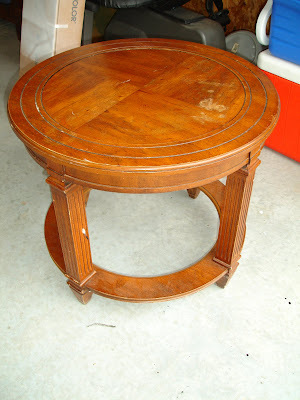 While making one of my frequent trips to the thrift store, I came across this table for $5.99. Obviously it needed a little work, but nothing a coat of paint and a little sanding wouldn't take care of. 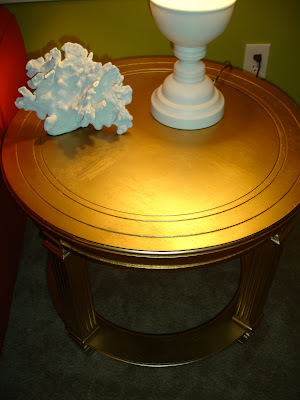 All the other furniture in this room is white ,so I figured a pop of gold might add something interesting to the room. I found some other AMAZING deals today that I can't wait to share with you! !